The Chell Smart Lemo was developed in partnership with TE to provide an intelligent transducer interface for the 9156-R together with a cold junction for thermocouple measurements. • Enables ‘plug-and-play’ type operation of the 9146-R with a variety of input types. • All transducer’s information is contained within the plug so they become a ‘TEDS’ type device. • ±0.25oC accuracy typical, ±0.7oC accuracy max (N type T/C) • Remote cold junction. • Remote connector EEPROM with look-up-table containing transducer calibration (second look-up-table for cold junction sensor calibration). • Cold junction heat facility (to assess correct connection of the thermocouple). • Compatible with high impedance thermocouples. 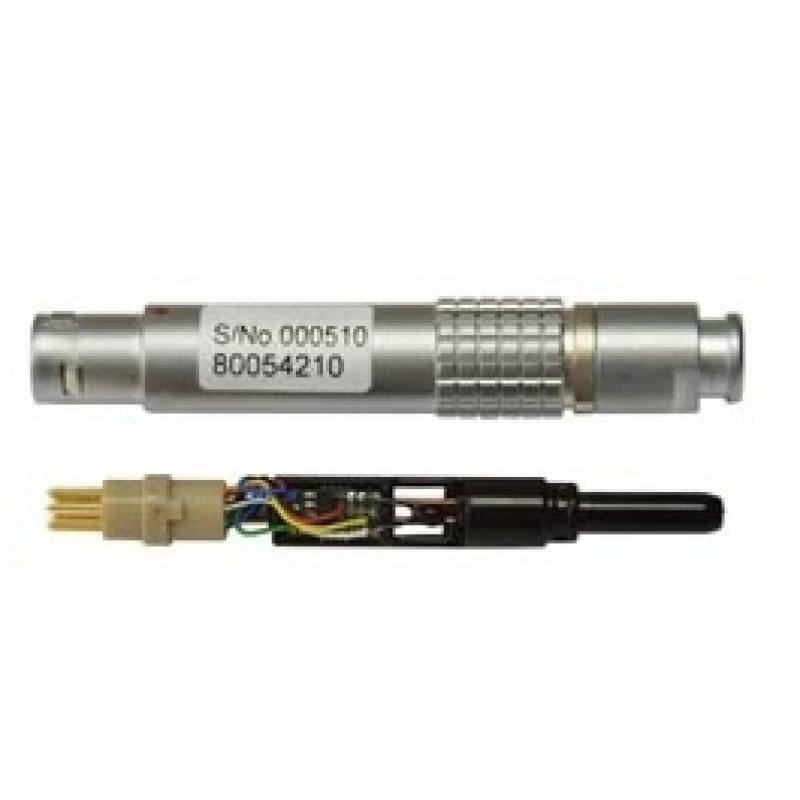 • ±0.1oC accuracy typical, ±0.25oC accuracy max (RTD) • Remote connector EEPROM with look-up-table containing transducer calibration. • Remote connector EEPROM with optional look-up-table for each input. The TE® 9146-R is an advanced temperature and voltage scanner. The smart connectors detailed here enable the user to terminate their thermocouples, PRT’s or voltage signals with a smart connector that contains all the identification and calibration information for the smart connector. These connectors are then plugged into the 9146-R and it will automatically use the data contained within them. This turns the 9146-R into a ‘plug-and-play’ de- vice and the transducer into a ‘TEDS’ type device. 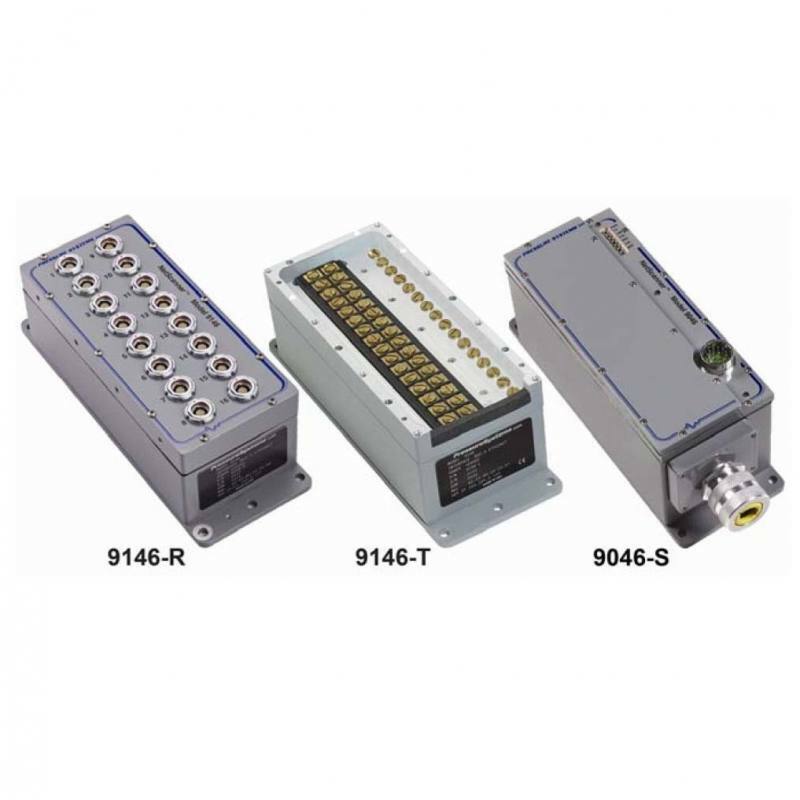 Three distinct types or of smart connector are avail- able; for thermocouples, PRT’s and voltage inputs. All plugs have internal EEPROMs (64K) so that the transducer calibration can be loaded into it. This takes the form of look-up-table(s) which can vary is size from 2 to 448 pairs. 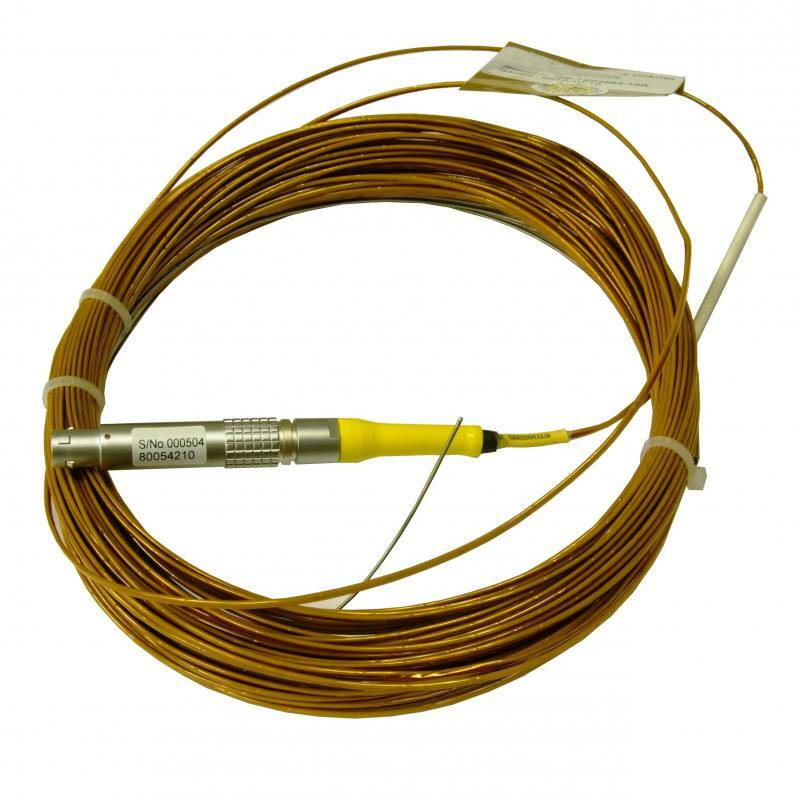 For thermocouple measurements, the cold junction is made within the Lemo® connector (by an alloy to copper crimp) and the temperature of this junction is measured with a high accuracy thermistor. The calibration of this thermistor can either be handled within the unit or by a second look-up-table within the Lemo® plug. Also for thermocouples, there is the facility to heat the cold junction within the plug (via a resistor) which will enable the user to ensure that the thermocouple polarity is correct (as this can be difficult to do with minerally insulated thermocouples). The 9146-R then has the ability to compensate for reversed thermocouples. On power up, the 9146-R will download all of the calibrations within the plugs together with the sensor type. The 9146-R will then output engineering units via Ethernet for any mix of measurement types. The smart connectors have been comprehensively tested for vibration, altitude and temperature to deal with harsh environments. All connector types can be programmed with useful features such as calibration date, transducer information and serial number in 256 bytes of user memory.